Hi friends! 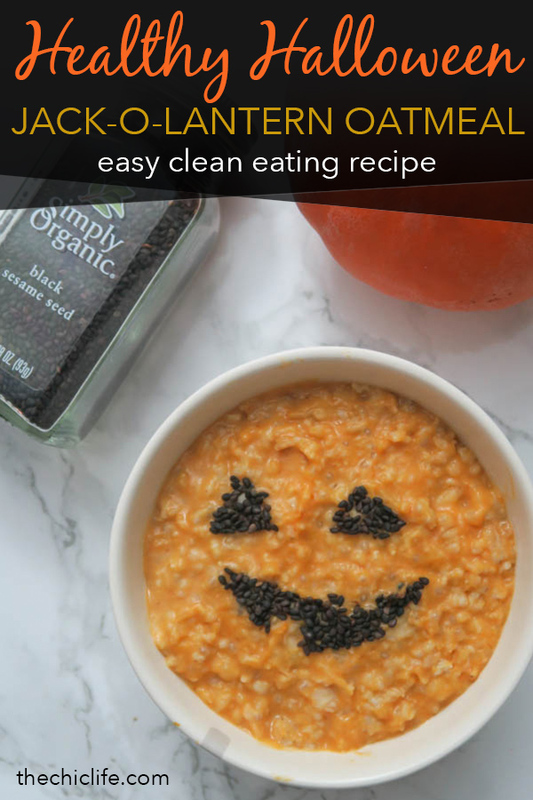 Today I’m sharing 3 Healthy Halloween Food ideas that are easy, affordable, fast, and pretty lazy. 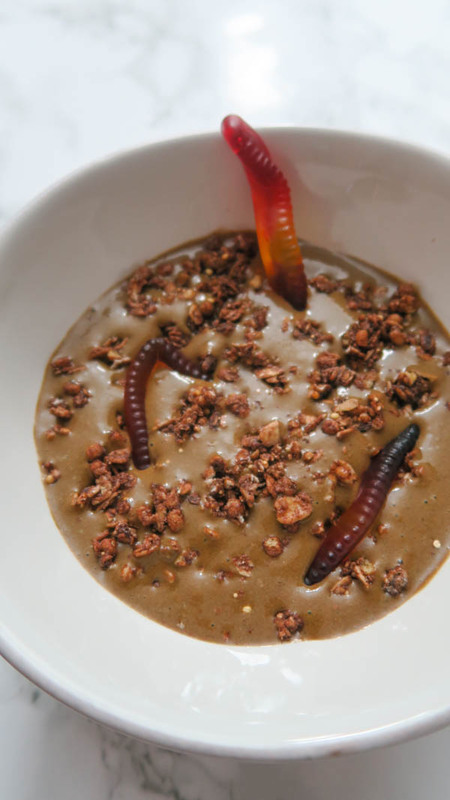 And they’re wonderful for clean eaters or those looking to sneak veggies into your family’s food. All 3 recipes have vegetables! Trick or treat, indeed! Bwa hahahahahaha! In case you need any last minute ideas. I’m getting this post up quickly since we’re close to Halloween, but I’ll be adding additional details later. Check back for more info! 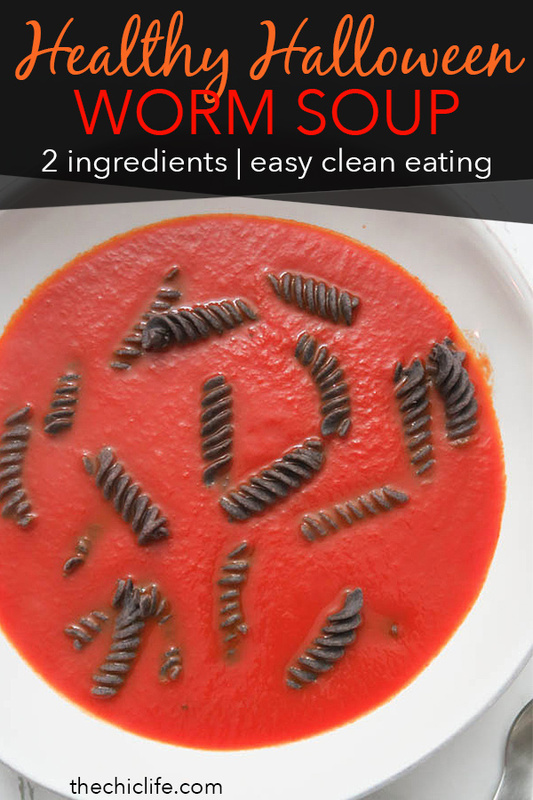 This is simply a can of tomato soup heated up with black bean pasta spirals dropped on top. Two ingredients! That’s it! For this idea, you simply need to stir a couple spoons of canned pumpkin into oatmeal. In the above video, I show you how to make a jack-o’-lantern template you can use to create a stencil to make a face using black sesame seeds. This one looks much creepier than it is. Did I mention you can sneak a serving of spinach into this smoothie bowl? Yup! Trick or treat? 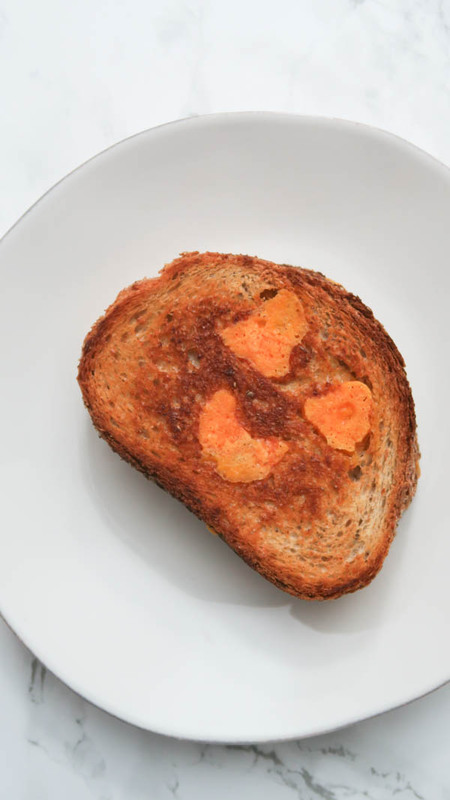 Just in case you haven’t seen this yet, you can make a jack-o’-lantern with a grilled cheese. To be extra lazy, I used some small cutting tools to cut out the face shape. 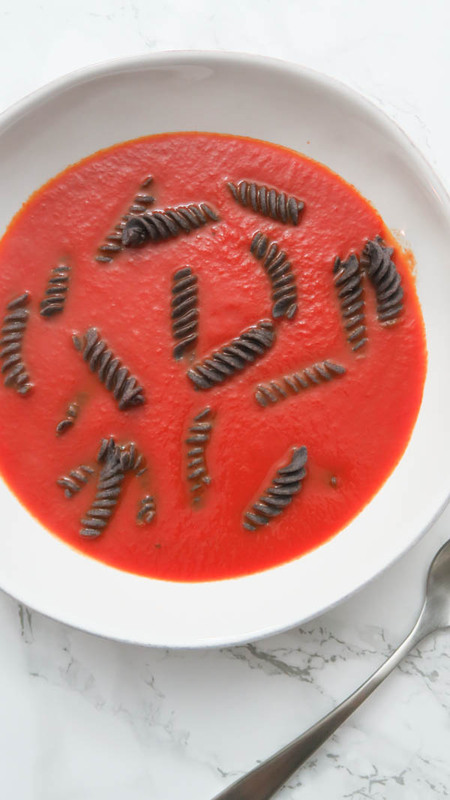 Use whole wheat / whole grain bread to make this health-ier. Healthy Salted Caramel Smoothie – no sugar added! Mini Chocolate Cakes – no butter, still rich! And that’s it! 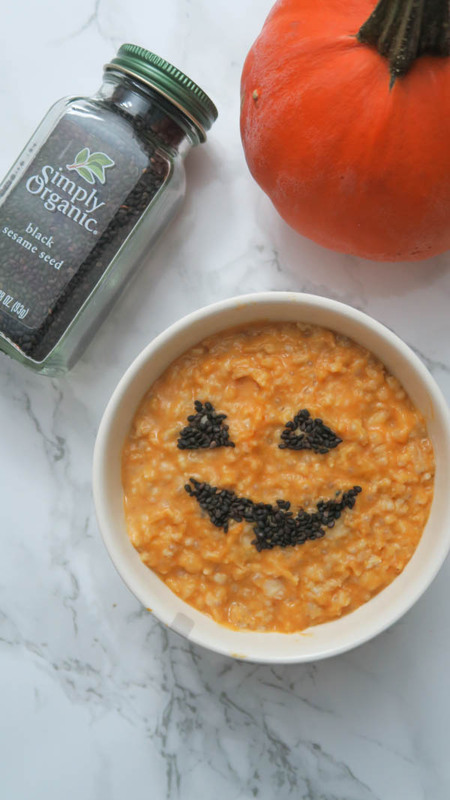 Hope you enjoyed these 3 Healthy Halloween Food Ideas (with bonus idea)! 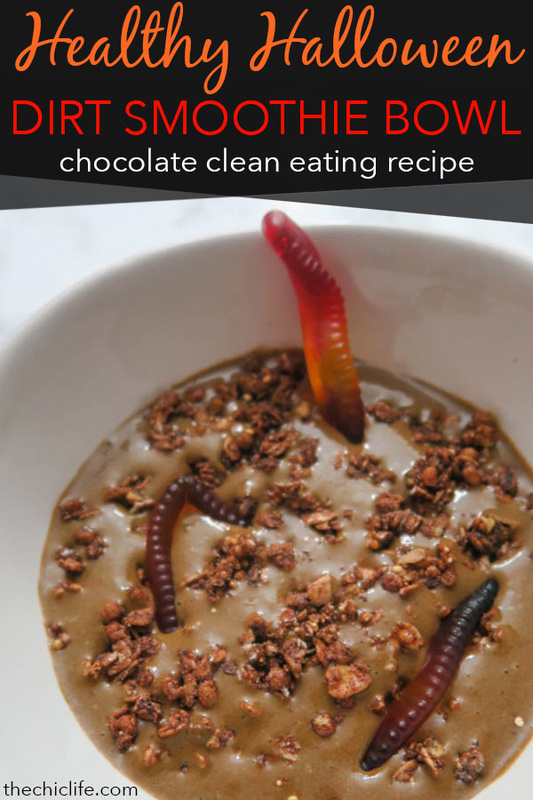 These clean eating recipes are great for kids and adults. Hope you like them.